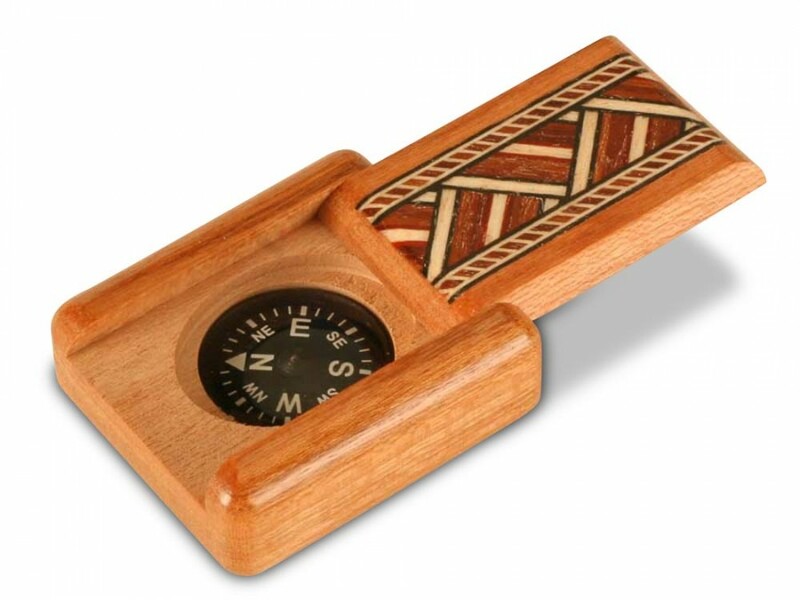 Hand-crafted wood compasses are perfect for the lone wolf traveler or for anyone who is taking a new path. I came across these lovely handheld creations while exploring uptown NYC. The artist MIke Fischer has been making art, specifically fine woodworking, for over 40 years whose love for woodworking began as a child in Boy Scouts and then used it as a therapeutic tool throughout most of his life. 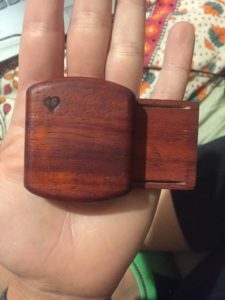 His trademark creation is the “secret” wood box, which is designed with such accuracy and precision to disguise the opening to it. The opening hand-fit dovetail slide that once discovered can easily be opened with your thumb. 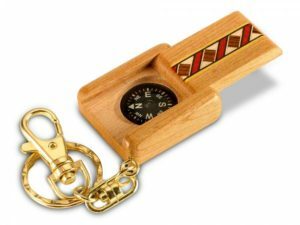 The wood compass comes in a secret box and some are attached to keychains. 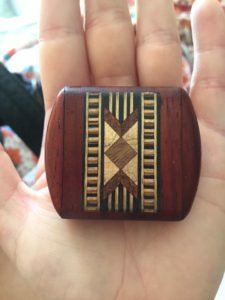 He uses many different varieties of wood including walnut, tiger maple, teak, spalted maple, sapele and padauk to construct his compasses and boxes, he also uses a variety of techniques such as marquetry, inlay and laser engraving to create the beautiful tribal and nature inspired design atop of them. 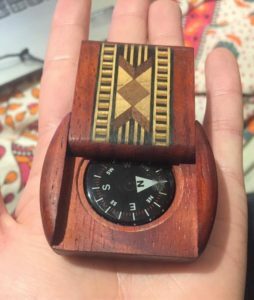 My compass is made from padauk wood with a beautiful arrow and diamond pattern inlay on top. I carry it with me wherever I go even when I know where I’m going because if you turn your compass around – it reveals a tiny heart laser engraved into the back – reminding me to always follow my heart!